Our administrators at Hoover High believe it’s important to develop leadership in our faculty. 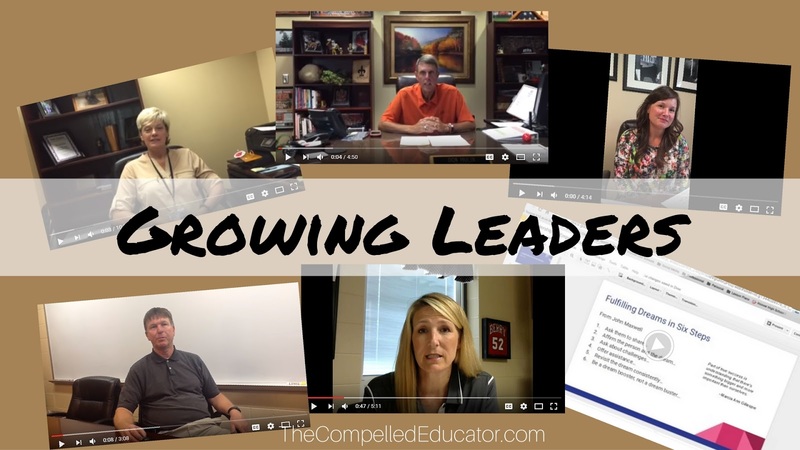 We try to provide a lot of opportunities for teachers to take on leadership roles, and we’ve worked with many teachers who are working on their administrative certification by answering questions, giving feedback, and having them shadow us on the job. This summer, we took it another step further, and created an online course that any staff member could complete for professional development hours. It was modeled after a leadership course by Seth Godin that my friend Jason Markey introduced me to. It ended up being one of the more popular PD courses, and it’s something that can be replicated in your school or district. I hope you’ll take this idea and run with it! Just be sure to let me know of the improvements you make so that I can adapt ours as well! 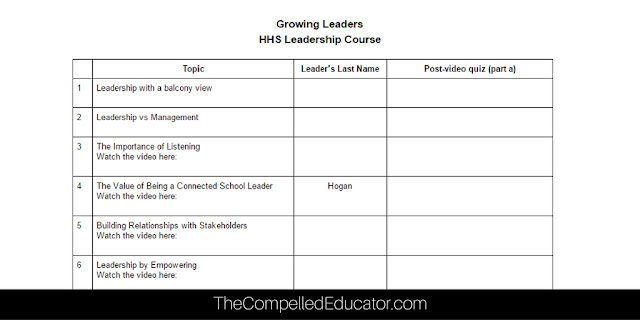 The first thing I did was create a Google Doc with a table of leadership topics. I shared the Google Doc with our administrative team and asked them to choose a topic or add one that was on the sheet. Once they each had a topic, I then asked them to create a 5-7 minute video about the topic. They had the option of being on camera, or they could create a slide show and do a voiceover recording. I also asked them to send me the link to video once it was uploaded, which I pasted into the Google Doc. Once the videos were completed, I created a short quiz for each video in a Google form. I pasted the links to the post-video quizzes into the Google Doc so that I would have everything in one place. How to do flash writing: Open a new Google Doc and set your timer for 10 minutes. Include your last name in the title of the Google Doc. Copy and paste the following list of questions at the top of the Google Doc. Set your timer for 10 minutes. Write your reflections and responses to the questions, but do not write for longer than 10 minutes. In our learning management system, I organized the topics into modules. Each module consisted of watching the video, completing the post-video quiz, then completing the flash writing assignment. Each module was a prerequisite for the next module. 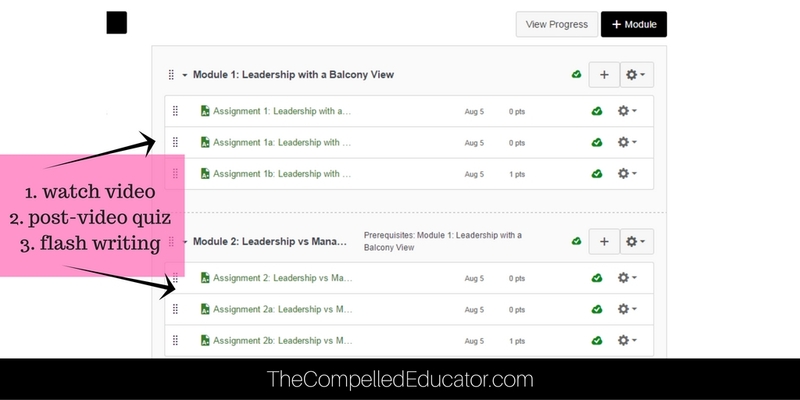 Of the 9 online summer PD courses I created for teachers, this was the most popular course. I hope that you are able to use these ideas to create your own leadership course in your school or district. Feel free to email me if you have questions or need help! I think mixing is a fabulous method for acquainting web based learning with understudies. The understudy has physical access to the educator and the online dissertation writing help exercises for additional clarifications and action rehearse.